Ok I am one of those old school "grown ups" in the way that I think it is absolutely ridiculous that we are making board games out of cell phone apps or exactly the opposite - making apps that are meant to be board games. As a parent of an elementary school aged child I am also always trying to encourage my kids to get excited about learning. I truly believe this is the age where you set the education expectations for your children for their entire life. They will either enjoy learning and work hard to get through any obstacles or they will continuously struggle and get discouraged throughout these obstacles. So being that I feel it's so important to get involved and make learning such an exciting experience, I am always looking for new activities and games which the boys might enjoy. 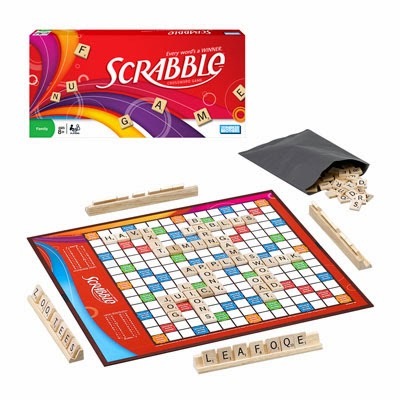 I was lucky enough to be contacted by Hasbro at the perfect time about completing a review of the classic Scrabble game in honor of creating School SCRABBLE Clubs. It just so happened that Dane tried to pull out our old Scrabble which was falling apart and missing half the tiles! I hadn't thought about it before he found the game but the benefits of playing are perfect for his age group! We have always been big into having game nights with our family and even with extended family and friends. So of course the day this arrived we broke it out and I even asked the big girls to play with the boys. I was thoroughly disappointed that both of the teenagers had no clue what Scrabble even was let alone how to play it. That is until told them it was Words with Friends and of course they recognized it. 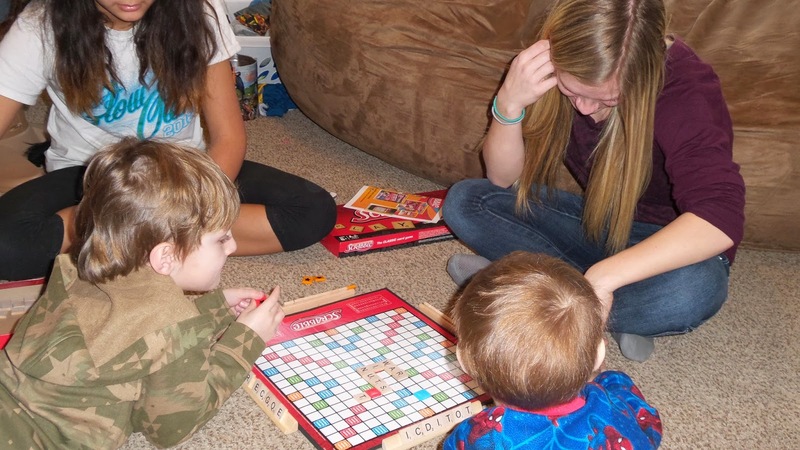 "Because of the educational benefits of using SCRABBLE in the classroom, Hasbro has teamed up with teachers and community leaders to create School SCRABBLE Clubs. 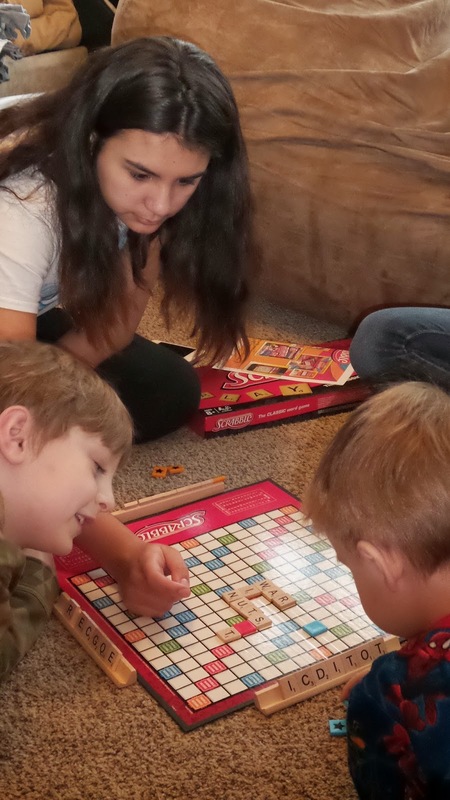 Designed for kids in 4th through 8th grades, School SCRABBLE Clubs can be established in the classroom, as an after-school club or through other community organizations, such as a library. Kids play in pairs, making it even more fun when they play high value letters on a triple word score! High fives for everyone!" It’s even super easy to get a club started! 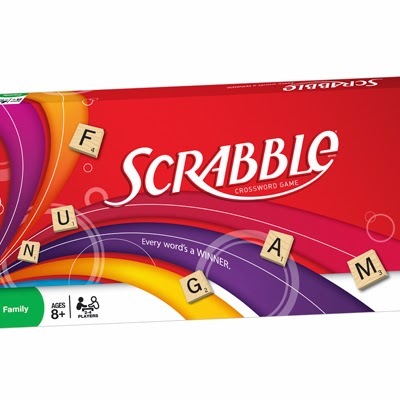 You and your children "can learn more about the program, register a club, watch videos and find tips about how to start a club at our School SCRABBLE Club website". 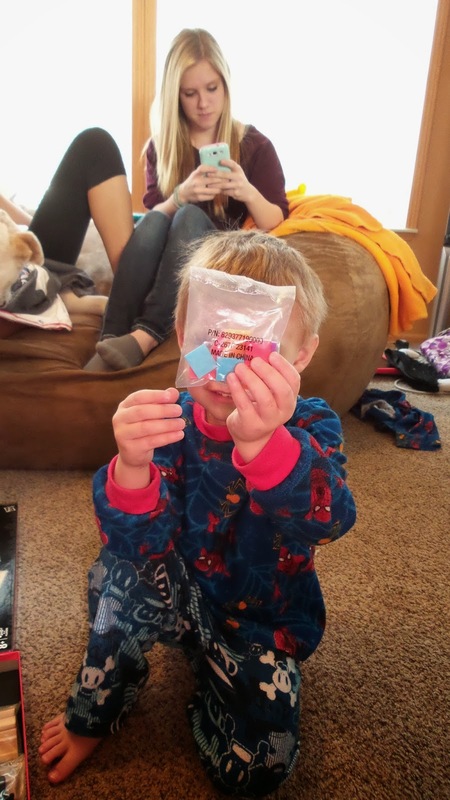 Designed for two to four players, this game definitely entertained Dane (6) and he honestly was unaware of how much he was learning while playing. I can tell you this is going to be a much more frequently played game in our house now that we have a complete set! Recommendation: Honestly you can't find better than this - learning and fun for most of the family for a cheap $15. I am in and even want to look more into the scrabble clubs for the kids! Giveaway: Hasbro is going to give one of A Lucky Ladybug's lucky readers a Scrabble game of their own! I think your blog is just fine ,you have nice giveaways. I like the game sorry. My kids and I like Monopoly..
My favorite board game is the old fashion Monopoly! Now my youngest daughter loves it too! Operation! It always good for some laughs! My favorite board game was Rummikub, if you consider that a board game. My favorite game has always been the game of Life. Honestly, I love Scrabble but when I was a kid I really loved Candyland! I like Monopoly - collecting all of the money and real estate was my favorite as a kid! I liked the game Trouble. We still play that old classic game today with the kids. What I enjoy now is a great game of scrabble with a couple of my elderly friends while chatting and have tea with them. I would love to add a new twist to an old game. Thanks for sharing it with your readers. Monopoly is my favorite but It really is close to Sorry. I played both of these games alot. The more I think about it, the more I believe it is even between Monopoly & Sorry Both are excellent games! I really had to think on this question. I really like your blog just the way it is. It's not cluttered or congested which I love. 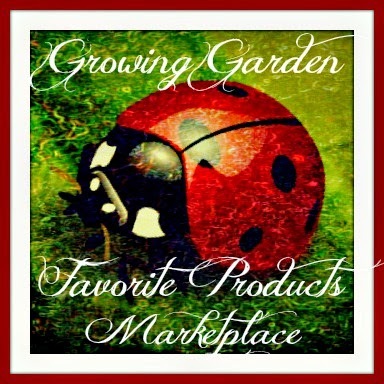 It is fun with the clover back ground and the cute ladybug. 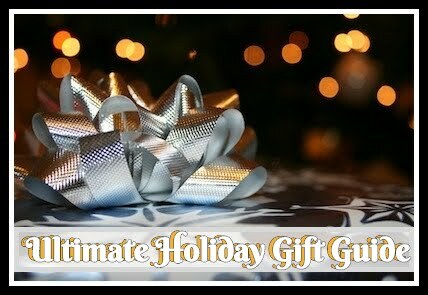 Your giveaways are listed on your sidebar and easy to find which is nice for those of us who like to enter them. 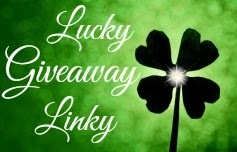 The only thing that I can think of that I could come up with that would be nice is to add a picture to your sidebar giveaway so people can actually see the item. which really isn't that important. I just find it is more apt to get me to enter.Thanks for all you do for all of us~! I really like the game guess who when I was young. I like to play Clue. I love Clue, I like guessing who did it! I like Jenga, Clue, and Monopoly! I like that you used shamrocks to reflect the title of the blog! We use to play Battleship and Connect Four all the time when the kid's were younger. One of my favorite Hasbro games is Sorry. It is game that can be played by both young and old and everyone seems to enjoy it. I've always really loved playing Clue. My favorite classic board game is Monopoly. Scrabble is a very close second! Monopoly! Conveniently followed by Scrabble! Classic would be scrabble. But I love the game Cranium. I have always loved the Game of Life. Thanks so much for the chances to win. My favorite classic board game is scattagories. I love playing that game. 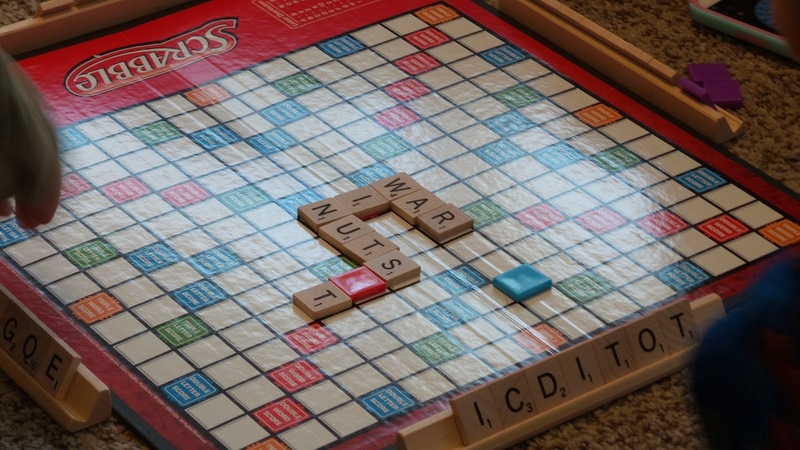 My favorite board game is actually really scrabble. I love playing the Game of Life! My favorite board game is Parchessi. I haven't played it for a long time. I've always loved the game of life! My favorite game is Rummicub. Monopoly is my all time favorite board game! My favorite board game is LIFE! Love it! I always wanted to see how many kids I would have. I didn't care about money!